Take your peyote skills up a notch and discover the exploding world of Contemporary Geometric Beadwork. Learn the concepts of MRAW, exploding tips and structure. 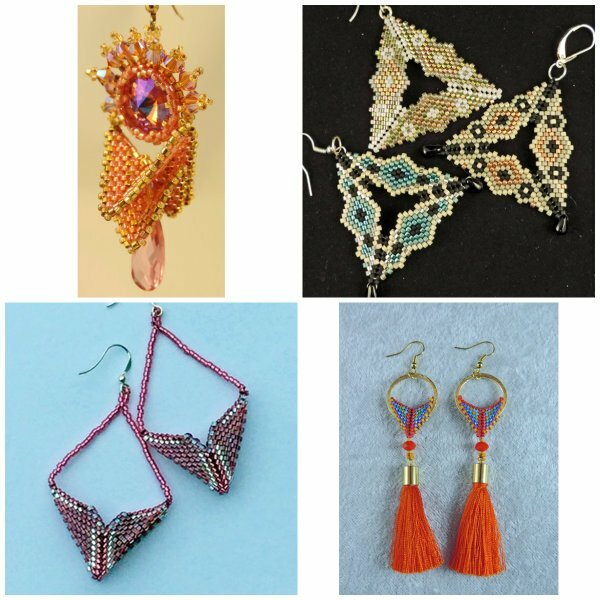 Here are some of the many projects from which to choose, pictured from left to right, Moonrise Earrings, Exploding Triangles, Golden Triangles, Warped Square Tassel Earrings.